Dr. Ryan, an Acupuncture Physicians, has over 13 years of hands on healing practice with thousands of people from all around the world. In his former years, Dr. Ryan was an Emergency Medical Technician-Paramedic and spent 4 years driving ambulances and working in Wellington Regional Medical Center Emergency Room. He later became a licensed Massage Therapist amongst his many accomplishments as a holistic healer before becoming an Acupuncture Physician. 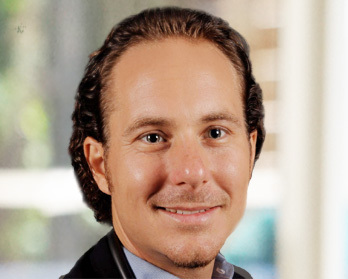 He is prized for his highly skilled and unique integrative approach to patient care and utilized an array of healing modalities to provide excellent care to his patients. He is one of the few Acupuncture Physicians in the USA that practices Esoteric Acupuncture. He is also a master in Reiki, Qigong Healing and is an expert in Deep Tissue and Neuromuscular bodywork while being proficient in Homeopathic Injection Therapy, Herbal Medicine, and Essential Oils Therapy. Ryan has worked in many health care facilities including physical therapy centers, nursing homes, western medical doctors offices and many private residences. He has also traveled the world on board cruise ships as a practicing Acupuncturist and was taught to share health seminars to hundreds of people. Ryan’s mission is to provide personalized, high-quality care on an as-needed or preventative basis. He also believes in educating patients so they can together with him achieve the best physical, mental, and emotional states possible. With pride, Dr. Ryan leads the Acupuncture program at dare2detox and provides a truly unique integrative Acupuncture therapy session that no other Acupuncture Physician can render.